Jevny could provide various plastic moulds for Consumer Electronics, Medical Equipment/Devices, Cosmetic Devices，Home appliances，Automotive,Heavy Equipment,Sports Equipment,Aerospace/Military well as general industrial OEM applications.Jevny molding’s mission is to be professional, trustworthy and creative toolmaker and injection molding supplier, We always keep layout at the top level, introduce modernized management system, Go in for zero default. Make sure quality and techniques in the highest way. Therefore, We dedicate to make innovation and progress continually to be your better partner. 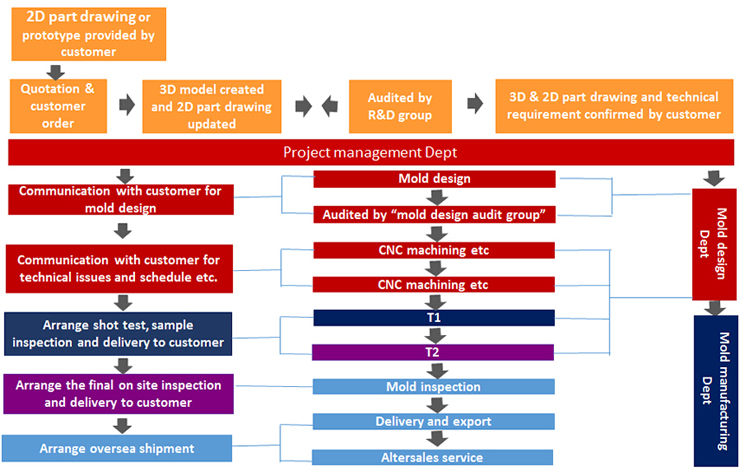 enhance our technology and accumulate experience in mold building. Initially Molds are rather expensive but they are a good investment for your company if there will be continuous batch orders.per month or per year. In this case part prices will be low and mold cost can be amortized. In our company mold prices start at 1000 USD , still lower than European prices as material, overhead and blue and white collar costs are still lower in china.